Best CDN For WordPress, first you need to know some basics about CDN. CDN (content delivery network) is a geographically distributed servers to provide the internet contents such as images, videos, files, anything to the end users in a quick interval of time (simply caches and delivers these files from their nearest location to the end users), CDN gained immense popularity for the last couple of years, because of its fast delivery time and security. How To Make WordPress Site Faster Using CDN? One of the biggest factor to rank your site on google search engine or any other search engines is page loading time, yes you need to keep your website page loading time as low as possible means better under 2 seconds, to achieve this you need to do lot of hard work and smart work, if your website takes a longer time to load means your out of competition from search engines, gradually your website will disappear from search engines, not only CDN even you need to choose best wordpress hosting provider, good cache plugin, and best CDN provider, now I will introduce you one of the best CDN providers for wordpress, which is non another than BunnyCDN. Best CDN For WordPress, BunnyCDN you already familiar with CDN providers like Cloudflare, Keycdn, Maxcdn, Amazon CloudFront Fastly and so on, but from the last couple of month many of the WordPress users shifted their CDN services to BunnyCDN, the main reason for this price, yes their price will be the cheapest in the market, despite the low cost, BunnyCDN performs close to or even faster than other CDNs. 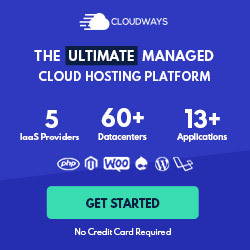 “Best CDN For WordPress”, The plan starts from $0.01 cents, you can select or deselect the zones from their dashboard, for 100Gb cost will be around $1, depends upon the zones you use. BunnyCDN provides additional security to your website, all the traffic will be passed through their powerful shield protection, hence there is no worry about security, your site will stay safe and speedy. While BunnyCDN plans start from $1 per month for a 100GB plan, you can test the service by creating a free 14 days trial account. The free account comes with 1TB bandwidth, instant support, and all the premium features. If you have been planning to integrate a CDN service with your WordPress site, BunnyCDN is number one choice! account creation is very easy just provide your email id and password, click create an account, after that you will be directly redirected to the BunnyCDN dashboard, for 14 days you will get 1 TB of data awesome know! Step 2: Now you need to create Pull Zone by clicking the add Pull Zone button, next you need to provide zone name and your website complete URL. A Pull Zone is what is needed to utilize the HTTP Caching type of CDN. The name Pull Zone came from the technique used, as CDN will “Pull” the static assets from your website to cache it and serve it from CDN Network. Pull Zones are simple to set up and use. It takes 1 minute or less to create a Pull Zone. Leave remaining settings as it is, and if you want you can enable or disable specific zones, but am leaving as default, and click add pull zone button. Step 3: Install and configure WordPress BunnyCDN plugin, go to add plugin search for BunnyCDN click install and activate. after activation, you need to enter zone name in the plugin and click enable button. Now you’re ready to go, your BunnyCDN has been successfully implemented, now go to your BunnyCDN dashboard to purge the cache. To purge cache select your zone and click that refresh button that’s all. See some test result after installation of BunnyCDN. After installing BunnyCDN, my site load time 540ms, which is really awesome, I hope you enjoy this post if you have any query regarding this, please reach me through the contact form or use facebook messenger! Disclaimer: Images used in this post belong to their respective owners.